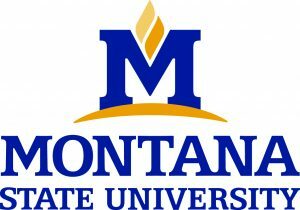 MIB is pleased to announce that the Association has teamed up with Montana State University to create and implement a community banking program for MSU students. This program is an exciting development for Montana’s community banking industry. MIB is collaborating with the Montana State University Jake Jabs College of Business and Entrepreneurship (JCBE) to develop a curriculum that will prepare MSU students for work in Montana’s community banking industry. MIB is pleased to provide the initial seed money for the program, which will be used by MSU to develop coursework relevant to the business of community banking; to build a foundation for MSU students to learn about community banking, to institute a collaborative system by and between the JCBE and Montana community banks. MIB is particularly excited about that portion of the program that creates a statewide internship for those students involved. The internship program will bring students from the classroom into participating community banks, where the students will begin building hands-on knowledge of the industry. This program has already been done on a trial basis, and has proved to be successful in matching the student with a job in the industry. MIB believes this program will be an excellent tool for MIB’s member banks to train young Montanans for a career in the community banking industry and create a pool of qualified employees for Montana’s community banks. MIB has arranged with MSU for its member banks to be able to contribute sponsorship funds which will be used to provide named scholarships for students in the Community Banking Program. As designed, this program provides MIB member banks with a meaningful opportunity to meet and interact with students who have chosen banking as their career of choice. Further, the program provides MIB and Montana’s community banks with positive exposure to the MSU community and students. If you are a community bank in Montana, we encourage you to consider sponsoring a scholarship and offering a summer internship opportunity at your bank. Community banking plays a vital role in Montana’s communities. And, as evidenced by the development of the MSU community program, MIB continues to be on the forefront of promoting the interests and values of Montana’s community banks. Read more about this exciting community banking program here. For more information about this program, including sponsorship opportunities, view and download the MSU Community Banking Program Brochure or contact Jackie Sather, Senior Director of Development at MSU. For more information about the internship component, view and download 2019 Banking Internship Information or contact Tim Harvey, Instructor of Finance and Accounting at MSU’s Jake Jabs College of Business and Entrepreneurship. February 1, 2019, 10:00 a.m.
May 1, 2019, 8:00 a.m.
May 3, 2019, 10:00 a.m.
August 2, 2019, 10:00 a.m.
September 18, 2019, 8:00 a.m.
November 1, 2019, 10:00 a.m.